дома| Медиа| Последние новости| The Brightest! The Greenest! Want to connect with Europe’s leading green building professionals and thought leaders? Want to discover or exhibit the most cutting edge innovations and solutions in this field? Want to do all this for free from your office chair, couch or bed? Are you interested? Then join Thermaflex at the Brightest! Greenest! Buildings Virtual EXPO. 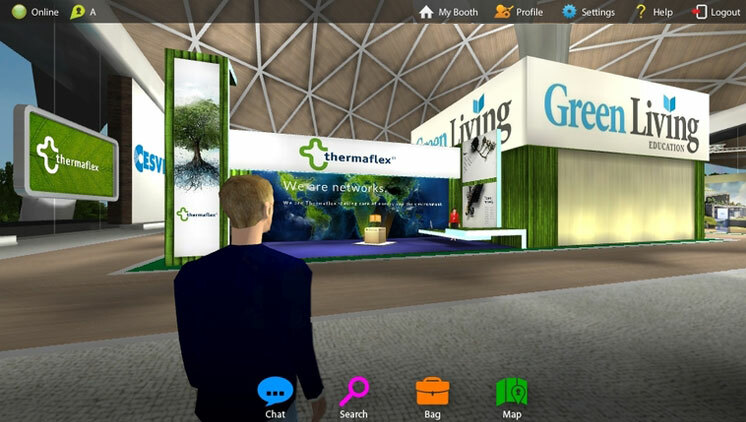 Thermaflex will exhibit our own innovative green building solutions (at Pavillion A) in this virtual and carbon-neutral event, dedicated to Europe's most successful smart and green building projects. This 3D event is supported by over 20 Green Building Councils, bringing together investors, designers, solution providers, and enthusiasts of working towards a green, and sustainable future. Thermaflex invites anyone with an interest, passion or role in the development of green building innovations to come and have a look around. All you need is a computer! When you attend, you get to..
Sign up here as an advocate and/or passionate of green building initiatives. Over 1,500 people already have! Thermaflex hopes to see you there!